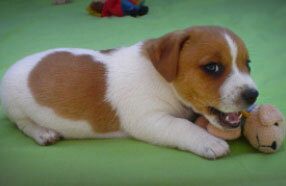 Proud Breeders of Short Leg, Smooth Coat Jack Russell Terriers. 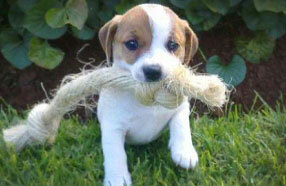 We breed excellent quality, healthy and happy Jack Russell puppies. All our puppies are registered, inoculated and dewormed. The temperaments of our breeding dogs are of utmost importance to us. Our puppies are closely monitored from birth and well socialized by the time they leave our property. Pups can be transported all over Africa. 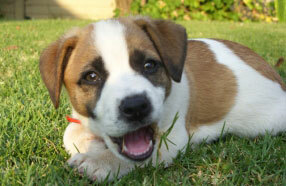 The Jack Russell Terrier was originally bred for hunting, but is popular company for children and elderly people alike. Jack Russells are alert, intelligent and protective over loved ones. Be sure to buy a Jack Russell puppy from a reputable breeder. Follow us for updates and news. Copyright © Cradle Kennels. All rights reserved.